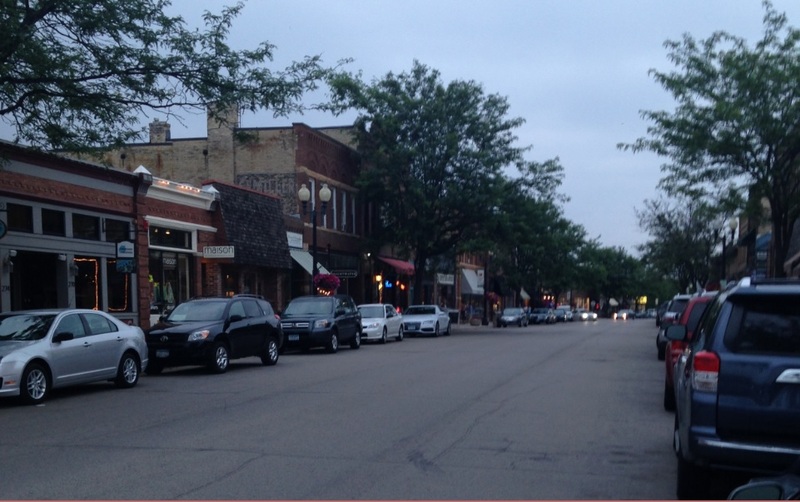 On any given summer weekend, droves of people wander the streets of Excelsior, a fun, touristy little town on the shores of Lake Minnetonka, in the western suburbs of the Twin Cities. 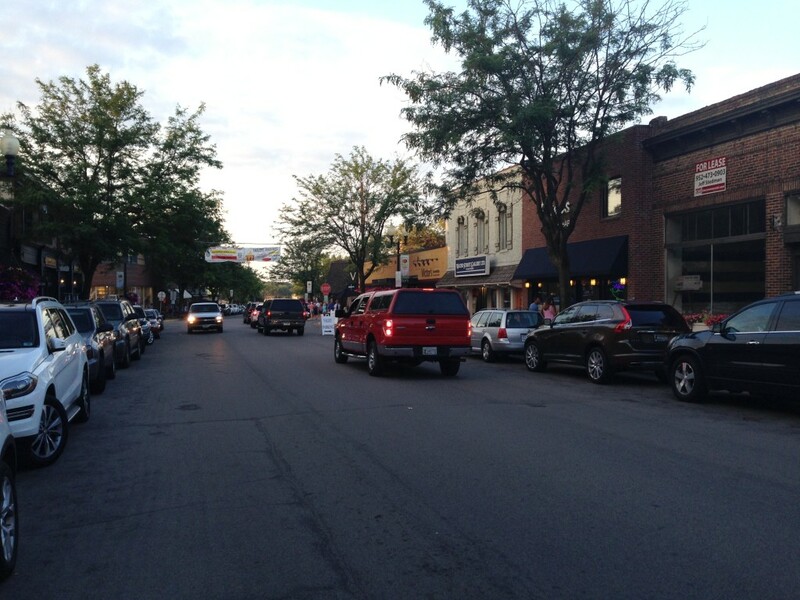 It’s an awesome place; Excelsior feels like small town in the heart of lakes country with antique shops, fun restaurants, lakeside bars, and frequent live music. But of all these people who descend on Excelsior by land or water, very few realize the significance of a certain city bench, referred to as “Mr. 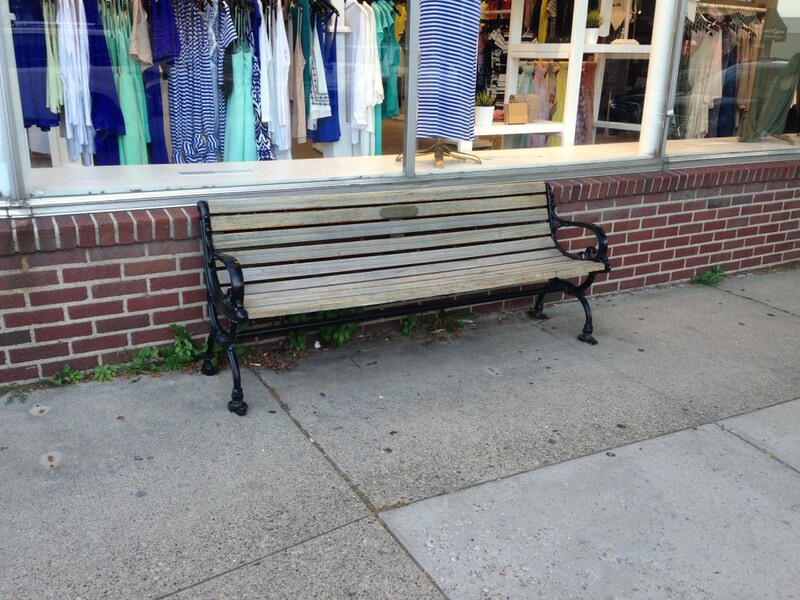 Jimmy’s Bench,” which has a place in rock and roll history. 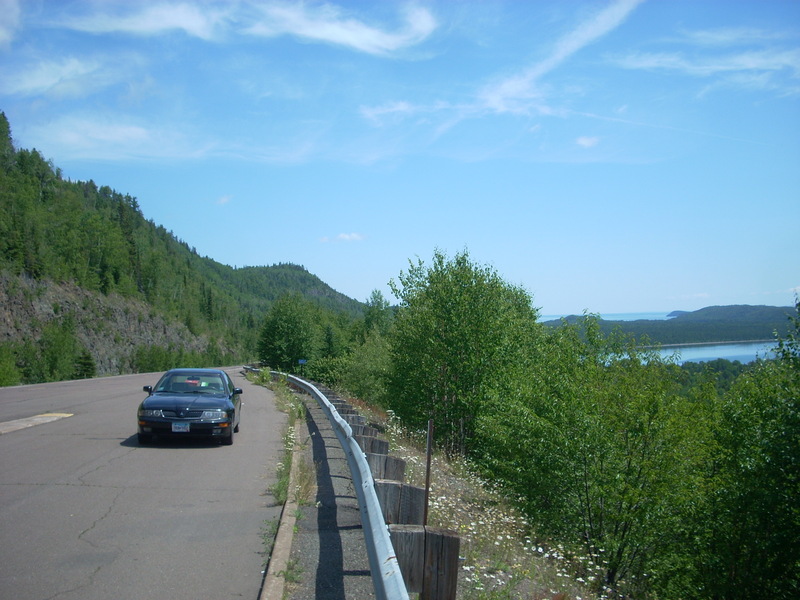 The story has been repeated for decades, involving an eccentric local named Jimmy Hutmaker, and the lead singer of a band called the Rolling Stones. In 1964, the Stones were completing their first tour of the US, and one of their stops was in Excelsior. The Stones weren’t the biggest band in the world yet, and the story goes that they were actually booed off the stage at this particular gig. While in town, Mick Jagger was picking up a prescription at the Beacon Drugstore in downtown Excelsior, and was conversing with Mr. Jimmy while waiting in line. The story always somewhere refers to Mr. Jimmy as a town ambassador of sorts, a friendly face often hanging around downtown, as most small towns seem to have one of these types. 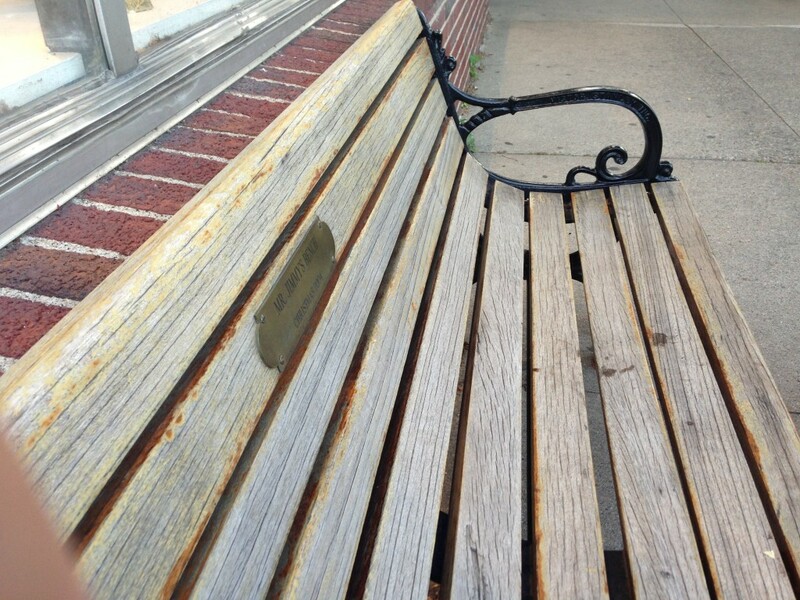 Jimmy died in 2007, but three years prior the town dedicated a bench to him, on the busiest corner of downtown, with a small plaque (above) reading “Mr. Jimmy’s Bench.” The night we visited was a hot July Saturday evening, and countless people stopped to sit a spell on Mr. Jimmy’s Bench, unaware that they are now part of Rock n’ Roll history. 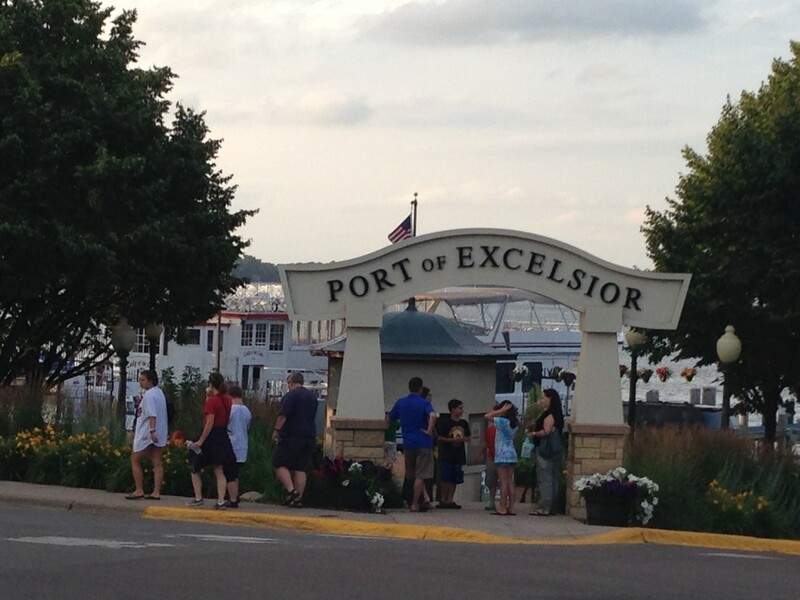 Excelsior is a great little getaway from the busy city life of Minneapolis, but expect it to be busy. Visiting boats dock at the Port of Excelsior, and there are many events during summer months such as town festivals, fireworks, art fairs, live music, and farmers markets. 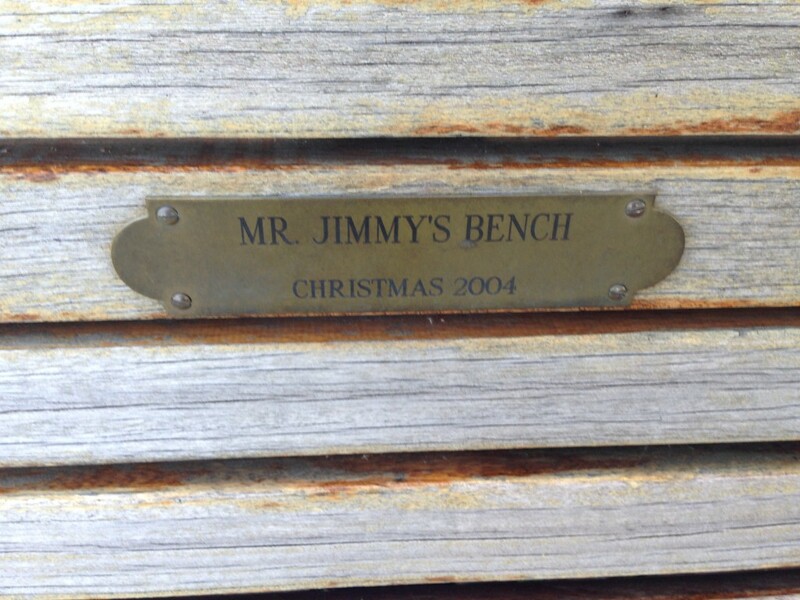 But make sure to seek out Jimmy’s Bench and take in some people watching and coke-sipping before you head to wherever you’re off to next. While in the area: If you can’t get out on the water, then Excelsior, Wayzata, Mound, and other towns around the shores of Lake Minnetonka are fun places to explore and grab a table at one of the many restaurants overlooking the big lake. Or, jump in the car and check out the magnificent Stone Arches of Lake Minnetonka.